Nancy Donnelly: Here is a recent piece called “Woman in Checked Blouse.” Glass with a steel frame, 2012. This piece is based on something I saw, and it uses a new technique for me, plus an old one. I trained in Seattle as an oil painter, and of course I’ve been drawing all my life. When I began making glass art, I put aside my drawing/painting skills and began making 3-dimensional work primarily. This has been going on for about 5 years. Not to say I quit making 2-D work completely, but I put my emphasis on learning how to handle the third dimension. Lately I’ve been missing drawing and painting. There are a couple ways to deal with that – I can turn my attention to drawing/painting as a supplement, or as a replacement for working in glass. I started making linocuts and printing them in glass as well as paper, and when traveling I focused on watercolor. But how nice if I can use all my skills in one art form! Happily for me, and with the help of my mentor Michael Janis, I can figure this out. This piece uses ceramic pencils and embeds the pencil marks inside the glass. There’s a depth that’s achieved as the shadow of the pencil bounces off the white backing up through the glass. Placement of light is important in these pieces. The other aspect of this work is the feeling that might shine out from it. What emotion is this woman conveying? Is she responding to something she sees? Can a viewer look at her and see something of his or her own emotions? What is she trying to say? These questions belong to the viewer. Ed. – capitolhillcorner.org feature “Piece of the Story” presents an image of a piece of work by a Capitol Hill artist and a paragraph written by the artist explaining how the piece tells the story of the artist’s recent work. It looks like the license application with tasting endorsement for the new boutique wine and beer retail outlet, DCanter, will get approval by unanimous consent. The shop, owned and operated by Capitol Hill residents Michael and Michelle Warner, may be open as soon as March. In addition to small production wines and craft beers, the shop will offer accessories and a small selection of books. The tasting endorsement means that the proprietors will be able to serve up to 6 ounces of wine or beer per day per customer for tasting purposes. 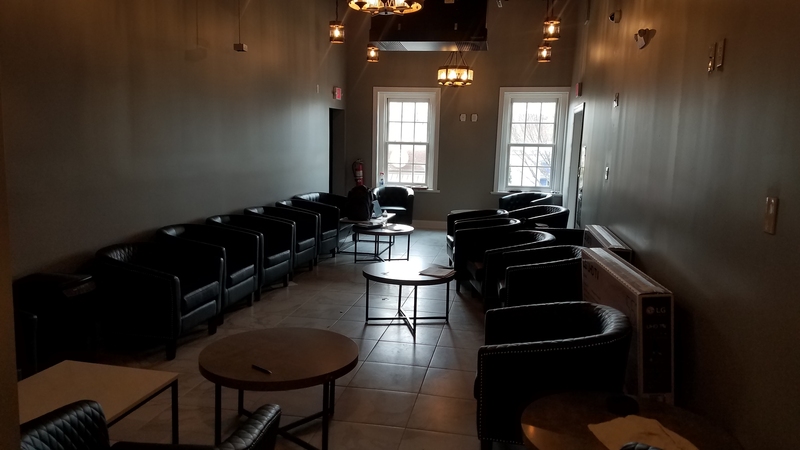 The establishment boasts two tasting rooms – a private room suitable for small tastings, and a larger room which can accommodate up to 12 seated patrons for tastings or wine appreciation classes. The proprietor and legal counsel for Ambar continue to joust with some members of ANC6B. The owner is insisting on the maximum allowed operating hours for a mostly enclosed roof garden and opponents – lead by commissioner Dave Garrison and Kirsten Oldenburg – want to cut back those hours of operation. 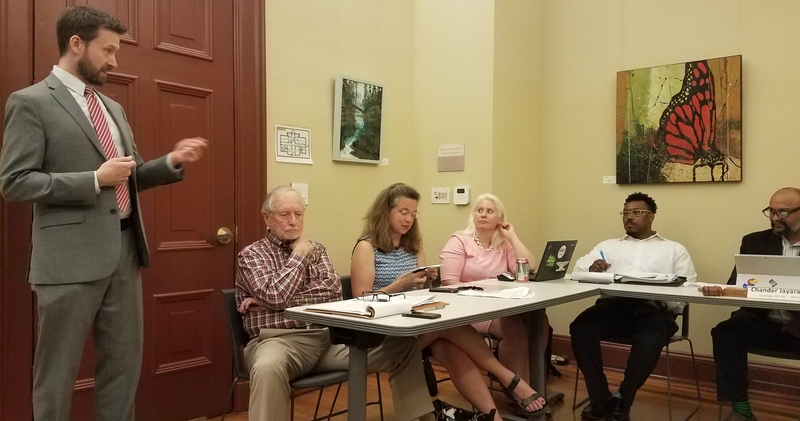 It appeared that a voluntary agreement was in place allowing the process to move forward for approval by the full ANC6B, but a preliminary vote to advance the agreement out of the ABC committee to the full ANC failed on a 4-4 tie vote, with one abstention. 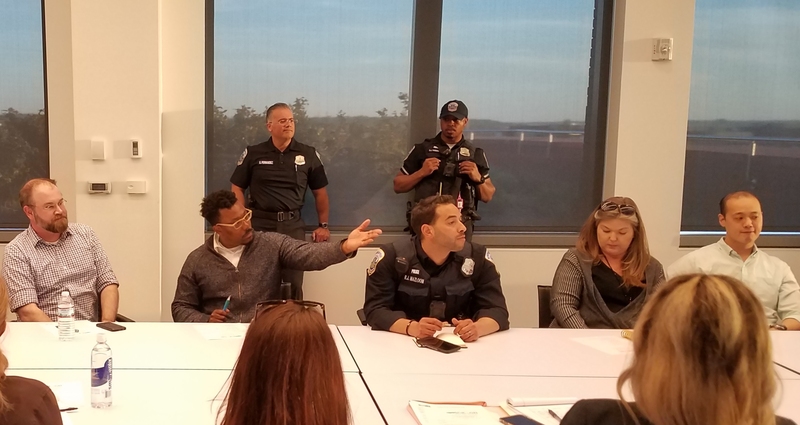 Negotiations on additional voluntary restrictions on operating hours or noise abatement were to continue over the past several days in hopes that a resolution satisfying all parties could be reached by the ANC meeting on Tuesday. The owner hopes to open by Inauguration Day. Major General Steven J. Lepper, the Deputy Judge Advocate General, Headquarters U.S. Air Force, Washington, D.C.
Major General Steven J. Lepper, the Deputy Judge Advocate General, Headquarters U.S. Air Force, Washington, D.C., honored veterans at a ceremony in Folger Park on Sunday. His remarks to a crowd of nearly two hundred focused on the themes of physical and moral courage and how our freedom depends on ensuring the next generation is equipped with the same qualities that distinguished the service of so many of our citizens who served in the country’s armed services. Lepper recounted a personal experience of how interaction with one of his personal heroes and role models taught him some of the most important leadership lessons he might otherwise not have learned. William Crawford was the janitor to Lepper’s squadron at the Air Force Academy. As far as they knew, he was the man who mopped the floor and cleaned the toilets. Then a fellow cadet, while reading a history of the US Army campaign in southern Italy, learned that then-Private Crawford had won the Medal of Honor for acts of heroism. While serving as a forward scout in the U.S. Army, Crawford’s company came under fire from an enemy machine gun. Crawford singlehandedly destroyed the position and two more machine gun nests while under continuous fire before being captured by the Germans. Presumed dead, he was awarded the Medal of Honor posthumously in 1945. Later that year, he was released from a POW camp and returned home to Pueblo, Colorado. In 1947, he reenlisted and served in the military until his retirement as a master sergeant. According to Lepper, when the squadron discovered what Crawford had done he became one of their greatest heroes. While working at the Air Force Academy, Crawford mentioned to friends that he had never received the Medal from the president, since it had been awarded posthumously. In 1984, during that year’s graduation ceremony, President Ronald Reagan formally presented him with the Medal. American Legion Post 8 staged its annual ceremony, in Folger Park, opposite the Post on the corner of 3rd and D, SE. Following Lepper’s remarks, a commemorative wreath was placed followed by a lone bugler playing Taps. After the ceremony, everyone present was invited to a luncheon reception in the Post. Piece of The Story is a regular feature on Capitol Hill Corner which presents a single piece of art by a Capitol Hill artist along with the artist’s explanation of how the piece tells the story of her or his current body of work. Today’s post features an acrylic on wood piece by DECOY. The piece is titled: “D is for Dondi,” and measures 69 X 45 inches. “Each piece I’m creating relates to a person who has transformed by making the choice for a major life change. I bit my nails for 25 years, and I thought I would never be able to have funky or cool nails. One day I decided, I can do this. The confidence spread to other parts of my life.” The artist is creating a series of al-new paintings and gel transfer prints on wood as wel as t-shirts and hoodies. 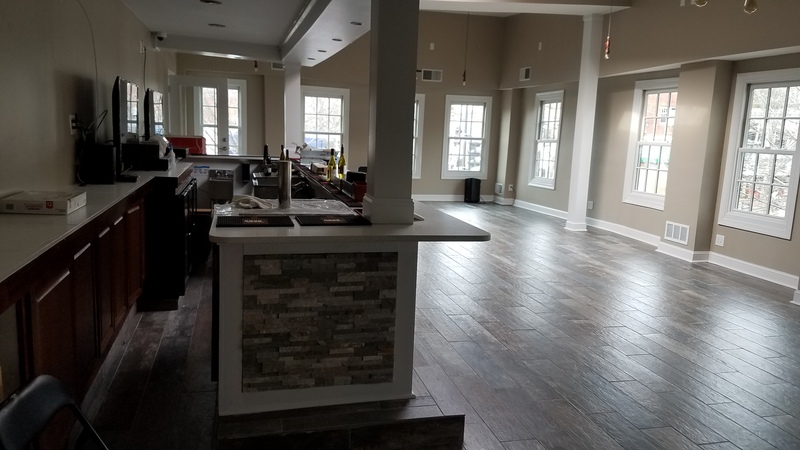 The upcoming January opening of District Taco outlet in the space across Pennsylvania Avenue from the Li’l Pub was reported in the Washington Post recently. It joins the recently opened Chipotle and Pacifico Café a block or two away, which are themselves newcomers to a market already served by restaurants like Las Placitas, La Plaza, and the Banana Café. District Taco prides itself on the freshness and quality of its ingredients. You can see the menu for District Taco’s two current restaurants below at the end of this posting, below. EMCAC held its regular monthly meeting on Wednesday, November 7. Market Manager Barry Margeson reported on plans to use the concrete slab, home to the temporary Eastern Market building during the market’s post-fire reconstruction, for the Eastern Market holiday market. It will open after Thanksgiving and stay up through Christmas. The exact composition of the holiday market is still under discussion, but the sale of holiday trees on the slab is certain. Following the holidays, consideration will be given to other activities there – possibly weekend vending. Margeson also reported that income from activities in the North Hall during October amounted to $21,600, noting that – so far – he has had three inquiries so regarding inaugural events. Add salsa to give your burrito a kick! cilantro… with a side of tortilla chips. Make it spicy! According to the unofficial tally of votes in ANC6B, Commissioners Frishberg and Pate handily won re-election in races that turned on issues associated with the controversial Hine development. In another Hine-associated race, Philip Peisch defeated Hine critic Randy Steer in a bid to succeed retiring Hine supporter Norm Metzger. It appears that at least Frishberg and Pate had the tacit support of Councilmember Tommy Wells, who had vowed to endorse whatever amenities and benefits ANC6B could wrest from the developer on behalf of the community. The two commissioners were the designated negotiators who brought the agreement to the ANC which passed it on a narrow 6-4 vote. Wells’ office did not respond to a query whether he endorsed any of the ANC candidates or if any candidate had requested his endorsement, although incumbent Oldenburg’s campaign signs – recycled from two years ago – still bore a sticker indicating Wells’ endorsement. Two years ago Wells’ went on record endorsing the re-election of the then current ANC, control of which was subsequently taken over by a slate of reformers, including Frishburg and Pate. Changing demographics on Capitol Hill were a factor in both the Frishberg and Pate races, as both candidates drew support from voters with young families, a demographic those two candidates share. That factor was at play as well in the victory of challenger Nicole Opkins over Jared Critchfield in a three-way race that was otherwise noteworthy for the reported vandalism of Critchfield’s campaign signs and those of Opkins’ other opponent, Chris Harlow. Watching the Results. Tunnicliffs. Circa 8:30pm. Watching the Results. Boxcar. Circa 8:30pm. Watching the Results. Tune Inn. Circa 8:30pm. Watching the Results. Pour House. Circa 8:30pm. Eastern Market. Circa 6:30. ANC6B Candidate Ivan Frishberg and volunteer Chuck Burger. Eastern Market. Circa 6:30pm. ANC6B Candidate Jerry Sroufe (second from left). Eastern Market, North Hall Polling Station. Circa 6:30pm. Tyler School. Circa 6:15pm. ANC6B Candidate Randy Steer. Tyler School. Circa 6:15pm. ANC6B Candidate Kirsten Oldenburg and voter. Tyler School. Circa 6:15pm. ANC6B Candidate Philip Peisch. Watkins School, Circa 6:00pm. ANC6B Candidate Tim Britt solicits votes. Watkins School. Circa 6:00pm. Lines, unseen since later morning, reappear. Watkins School. ANC6B Candidate Nicole Opkins interacts with constituent. Watkins School,Circa 6:00pm. ANC6B Candidate Jared Critchfield solicits voter. Thankful Baptist Church, circa 5:00pm. ANC6B Candidate Brian Pate. Candidate Steve Holtzman behind. Tyler School, early afternoon. ANC6B candidate Kirsten Oldenburg (left). ANC6B Candidate Tim Britt Segues between Watkins and Tyler Polling Places. Tyler School Polling Station, early afternoon. ANC6B candidate Phil Peisch. Eastern Market Polling Station, early afternoon. ANC6B candidate Jerry Sroufe after engaging voter. Eastern Market North Hall Polling Station, early afternoon. ANC6B candidate Ivan Frishberg and constituent. Thankful Baptist Churct Polling Station, early afternoon. ANC Candidates Steve Holtzman (right foreground) and Brian Pate (right background) solicit votes. Barracks Row’s Backstage Performing Arts Has Seen Its Last Halloween. The site will soon become a boutique beer and wine retail outlet. ANC6B ABC Committee Holds Licensing Hearing on Thursday (see below). CHRS Historic Preservation Committee meets at 6:30pm, 420 10th street, SE. Election Day – ANC6B has five contested seats and five seats which are not being contested. The outcome of these races could determine much about how the Capitol Hill community evolves and develops. Ward Six Councilmember Tommy Wells, whose constituents include the residents of ANC6B, is not up for election in this cycle. Wells is exploring a possible run for mayor in two years. Eastern Market Community Advisory Committee meets at 7:00pm in the North Hall. ANC 6B Planning and Zoning Committee meets at 7:00 pm, in the cafeteria at St. Coletta of Greater Washington, 1901 Independence Avenue SE. One item on the short agenda is to hear a presentation from organizers on the 2013 Cupid’s Undie Run, Saturday, February 9, 2013. The P&Z Committee meeting will be followed by Advisory Neighborhood Commission (ANC) 6B’s Special Call meeting to consider its response to the Zoning Commission on the Hine School Redevelopment. The Special Call meeting is scheduled at 7:45pm, in the cafeteria at St. Coletta of Greater Washington, 1901 Independence Avenue SE. On Wednesday, October 31, 2012, the applicant, Stanton-Eastbanc, LLC, filed an additional submission with the Zoning Commission https://www.yousendit.com/download/WUJiV28yRStPSHhFQmNUQw. At its special call meeting, ANC 6B will consider its response to the applicant’s submission. ANC6B’s ABC Committee meets at 7:00 pm at Hill Center. On the agenda are several items of interest to residents near Barrack’s Row. These include a new retail wine and beer license for DCanter, the boutique retailer which will soon replace the Backstage Performing Arts Store at 545 8th Street, SE; a voluntary operating agreement for Balkan Concepts, operator of the new Serbian restaurant at 523 8th Street, SE, next to the new Chipotle; and a request from Hank’s Oyster Bar, 633 Pennsylvania Avenue SE, to extend hours one day on Sunday, December 9, 2012, from 12:00 am to 2:00 am. CHRS Zoning Committee meets at 7:30 pm, 420 10th street, SE.